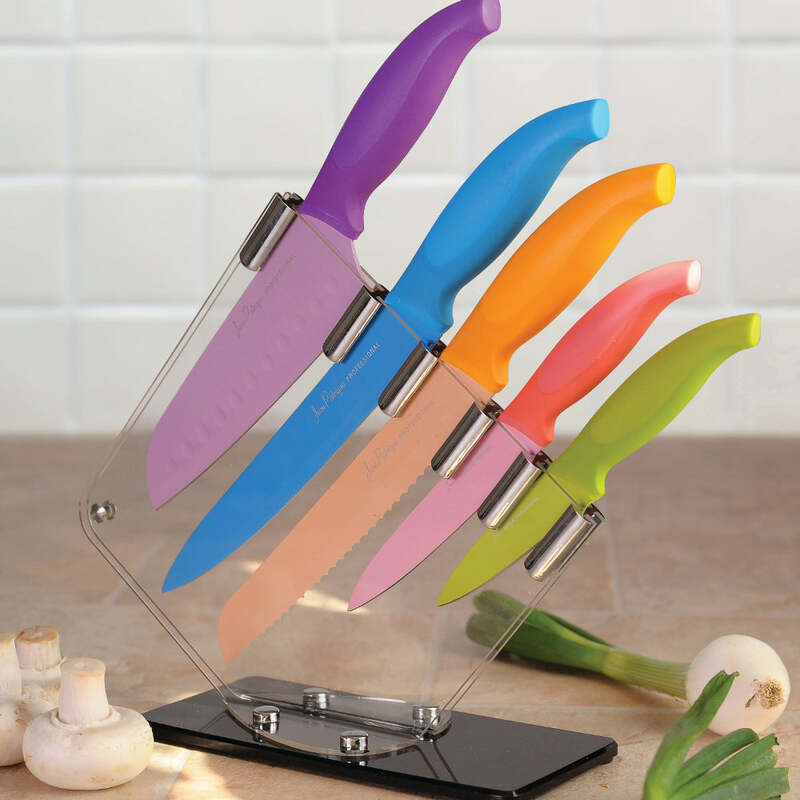 The Onyx Collection 14 Piece Knife Set has a knife for every purpose. Never worry again about searching for your ‘good knife’ only to find it needs to be cleaned. With this knife set, you will always have one to hand. 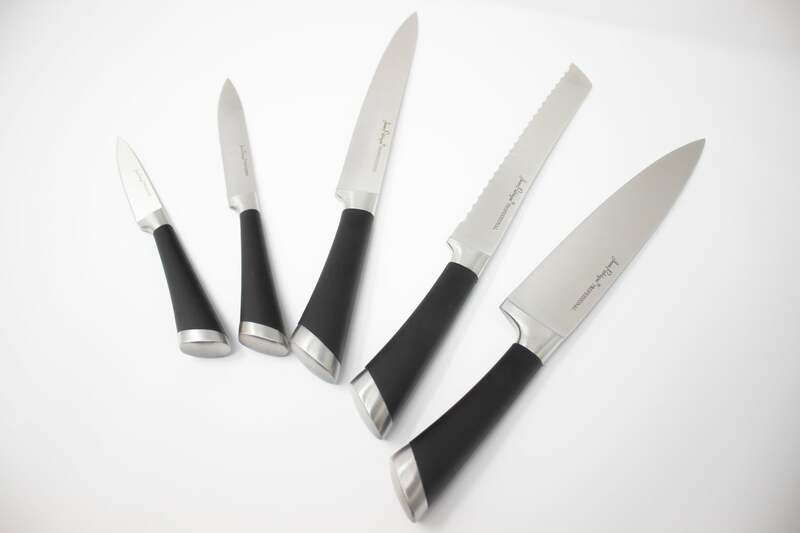 Our knife set includes a serrated bread knife, a small 3.5 inch paring knife for those tricky slices, as well as a large 8 inch chef’s knife for cutting meats and vegetables. It also includes scissors (because you can never have enough pairs of scissors!) and 6 matching steak knives, perfect for any dinner party. Are you tired of rummaging through drawers? Our knife block means your equipment will look stylish and tidy but will always be right where you need it. It even comes with a knife sharpening steel, so your knives will stay razor sharp. We even offer a 25-year guarantee on this product so you know you are making a worthy investment. MEETS EVERY NEED – Our knife set includes serrated blades, chef’s knives and kitchen scissors, so you’ll have a solution to every culinary need. SMART AND STYLISH – Our swish black ergonomic handles and English walnut wooden holding block are a classic design and would look great on any work top. PRECISION CUTTING – Our specially designed handles mean you can cut and slice comfortably, even with the trickiest of jobs. EASY STORAGE – No need to rummage through a drawer to find your favourite knife. 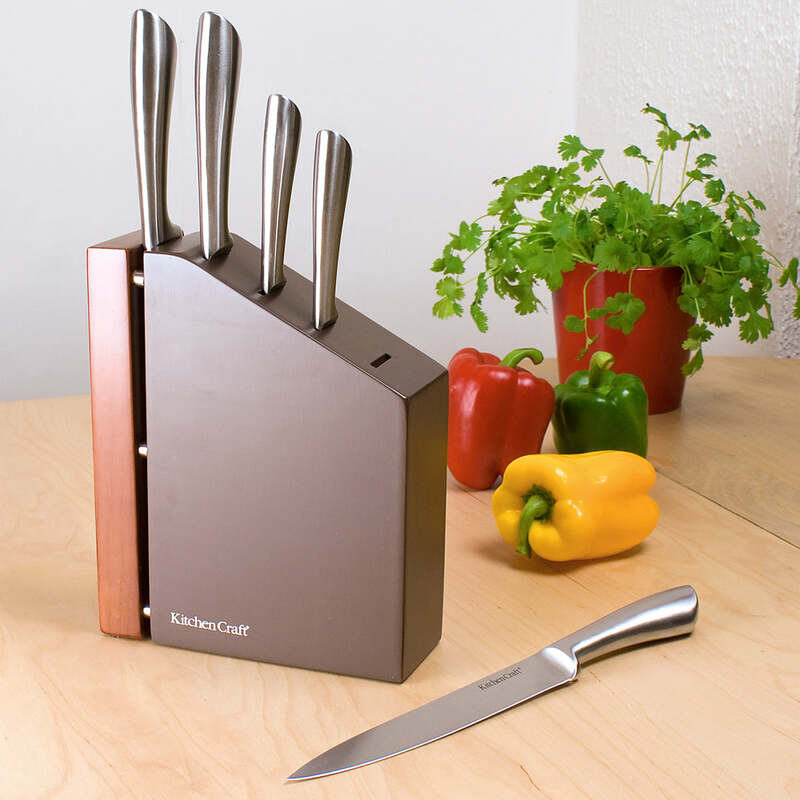 Display your knives neatly in our wooden block, for easy and smart access. Best knife set i have ever used. Recommend to anyone who wants quality sharp knife set in the kitchen. I love the knife set, they all seem good quality, sharp and well made. The wooden block holder although sturdy and nice to look at seems to have failed quality control. It has had some repair work done but they forgot to re-stain it. It doesn't bother me as I can finish it myself so not worth sending it all back.... oh and also, the scissors are showing a bit of rust near the handle which isn't good. Don't get me wrong, 4 stars shows the great quality of the knives and I am happy to recommend this knife set.